Throughout the nineteenth century, Americans treated most minor foot care problems with general, multi-purpose skin care products. The main hygiene issues addressed were perspiration, skin rashes or discomfort, and odor. As with the rest of the body, talcum powder was commonly used to treat these complaints. However, foot care and beautification sometimes warranted its own specialized line of products. Many products were marketed to specifically target fungal infections, warts, corns, and calluses, which were considered unattractive as well as potential health problems. Products to address warts, corns, and calluses included salves, creams, plasters, and foot baths. Emollient creams softened the thick, hardened skin of calluses, helping to prevent cracking and improving foot appearance. Salves, liquids, and plasters contained chemical solvents, such as extract of cannabis and salicylic acid, which loosened the hard skin of warts, corns, and calluses, making them easier to peel off the foot. 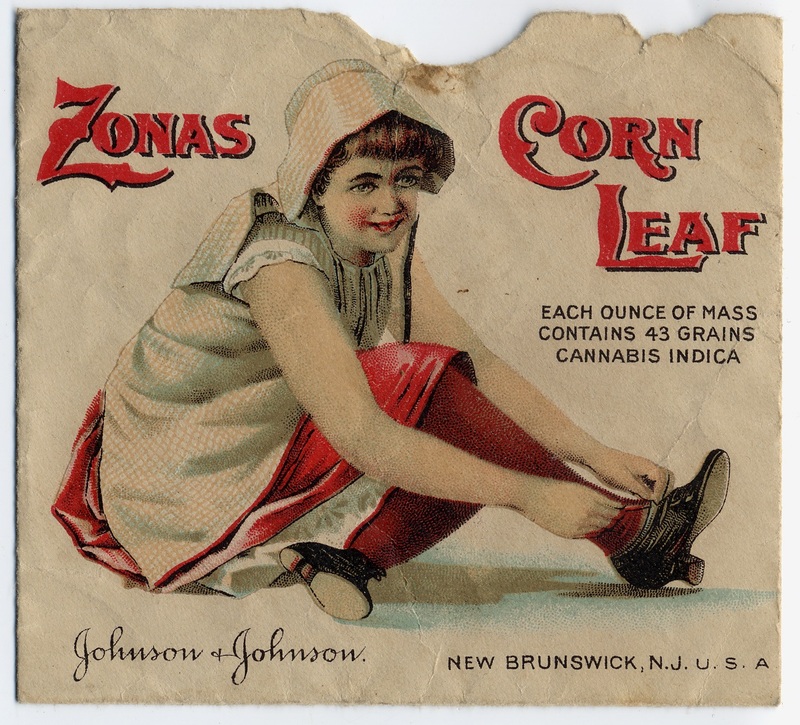 Between the 1910s and 1930s, many corn removal product advertisements featured famous movie stars or dancers posing in high-heeled shoes. The ads implied that consumers who used these products could have attractive, pain-free feet, also allowing them to wear dainty, fashionable shoes. Special razors were also marketed for the removal of corns and calluses. The Star Safety Corn Razor was advertised as a way for the American consumer to “Be your own Chiropodist” and undertake foot “surgery” at home. As with other products such as personal razors or home hair and beard dye kits, advertisers emphasized that consumer self-reliance (rather than dependence upon a doctor or barber) was a benefit of their product. In the early 1900s, fungal infections of the feet were not new, but they got a new name: athlete’s foot. Talcum powder and antiseptic baths had previously been used to treat the itchy, inflamed, peeling skin characteristic of the fungal infection. By the 1930s the term “athlete’s foot” was well known. 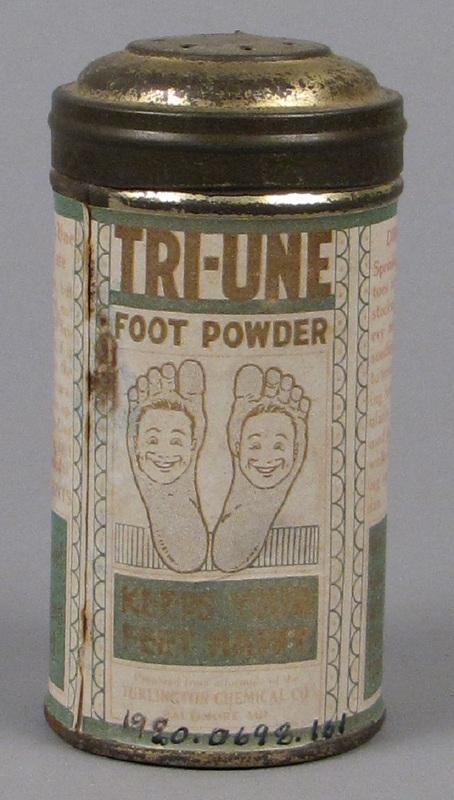 Aya Homei and Michael Worboys have written that it was “one the most common and most talked about diseases in America in the 1930s.” Manufacturers of salves and powders rebranded their products as cures specifically for “athlete’s foot,” spreading the term. 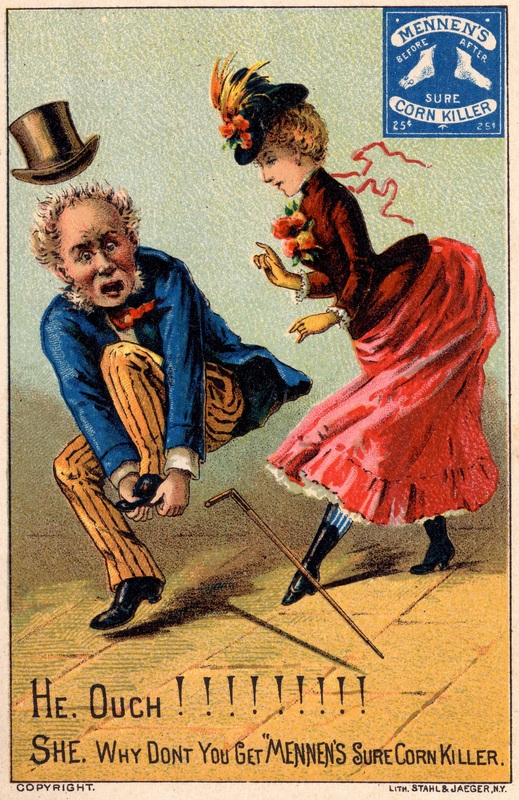 Concern about athlete’s foot swept the nation, as advertisements warned people that they might be carriers of the ugly disease…and they might be infecting their friends and romantic partners. Despite the claims made by many of the products, it is likely that they frequently irritated the skin, causing even worse discomfort or infection; further, some of the products contained toxins such as mercurial compounds and formaldehyde. It wasn’t until the 1990s that over-the-counter topical preparations were introduced that appear to be widely effective against foot fungal infections. The increase in diabetes within the American population has also led to specialized products meant to address diabetic foot care. Because diabetics commonly have nerve damage and poor circulation in their feet, they are especially at risk of dangerous infections that can arise from cracked calluses or ingrown toenails. Over-the-counter creams and balms are manufactured that soften and smooth the calluses of diabetic patients. Homei, Aya, and Michael Worboys. Fungal Disease in Britain and the United States 1850-2000: Mycoses and Modernity, 2013.